We all love superheroes whether it’s a Marvel superhero or a DC universe superhero. 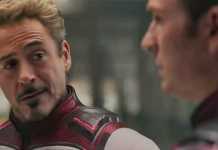 Superheroes like Captain America, Ironman, Batman, not only entertain us but teaches us a lot of about life and this is the reason we always like to mirror them in our lives and keep them close to us in every medium whether it’s an action figure of the superhero or a wallpaper in the room or wallpaper on PC and mobile. For all those, who have chosen superhero wallpapers on PC & mobile we have some stuff. 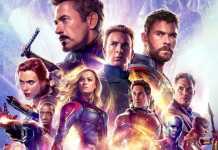 Here, we are talking specifically about Marvel Cinematic Universe’s Avengers, which has managed to gather a huge base of crazy fans all over the world. For all these crazy Avengers fans there, we have searched more than 500 Avengers wallpapers on the internet and listed top 30 best Avengers Wallpapers for Mobile & PC in HD resolution. We have collected 30 best Avengers Wallpapers for mobile that we found super amazing. And all of the available wallpapers come in HD, Full HD, and even 4K resolution, so you can easily use them as wallpapers for not only your smartphones but also on your laptop with a larger screen. To download the Avengers wallpapers in HD resolution, first of all, visit the Dropbox link below.